Landscaping With trees, plants, and shrubs,we are a grower located in Fountainville Pa. and Milan Pa. Let us help you with your landscaping needs. We try to offer a selection of top quality, nursery grown plants. Seedlings and small liners aren't all you will find here at our nursery. 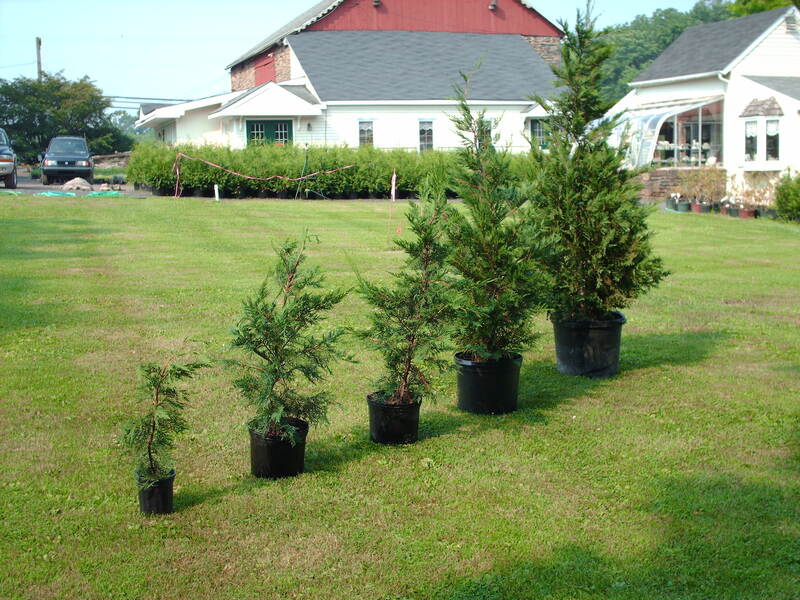 We have a large variety of deciduous trees, evergreens, and shrubs that are all available. We also have shrubs of all shapes, sizes, and colors as well. We are constantly reviewing, and adding new varieties to add to our inventory, and will have several new introductions in most every category for each new season. Our goal is to be able to offer you a great selection of quality plants at the best price. See how we dig or trees with utmost care Not all the plants listed on our site are in stock. Some plants we have on a limited basis and others can't be safely transplanted at all times of the year. Orders large or small, we love them all. We feel that you should be able to come and see our operations so we do allow people to schedule tours of our nurseries. Click here for a quick look at great plants for the Delaware Valley. Click here for a quick look at Jamies great plants for the Delaware Valley and the Eastern States. Again, welcome to East Penn Gardens and Highland Hill Farm and lets get dirty. Our sales location is at 5275 W. Swamp Rd. , Fountainville Pa. farm and from our Milan Pa. Farm. We encourage you to come and look at this stock. There is a lot of it out there. We have the ability do dig most of it as we have tree spades up to 44". If you can bring your own equipment that's great. We want everyone to go home happy. If we can't be happy serving you and fulfilling your needs, we will fake it. Bill, Marge, Mike, and Jamie. Pinus flexilis 'Vanderwold Pyramidal' has great vigor and breath taking foliage that is blue-green and their needles are twisted. They are $141. ************************************************************************************************************************************************************** We also offer information on the web ABOUT OUR SEEDLINGS , and how to CARE for seedlings and nursery stock. If you buy your seedling from us you will have access to the free use of our planters. 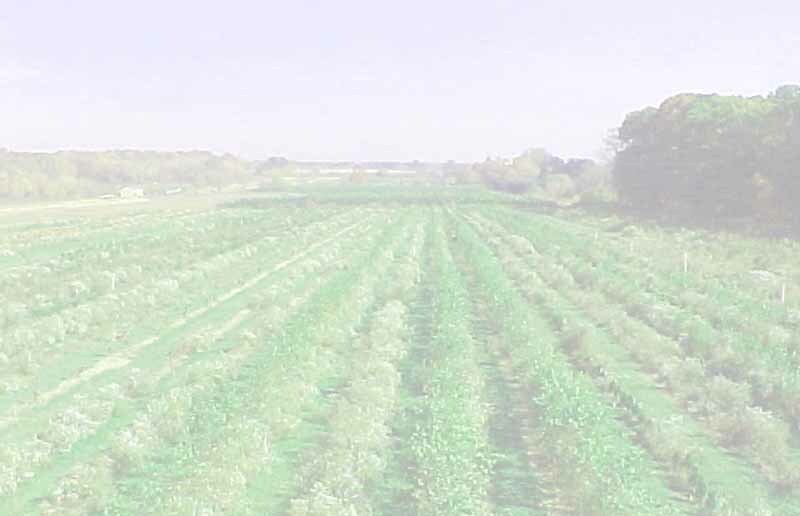 We have three types available for use and have had years of experience in planting seedlings. Our PLANTING EQUIPMENT is located in Fountainville Pa. (near Doylestown) and Milan Pa. We also provide a service to supply and plant Seedlings. We are dedicated to helping you with your plant needs. You will find ARTICLES we have written to help you and explain how we do what we do. We will be glad to assist you. We welcome everyone to come to our farm, if we have time we will give you a tour and show you how we built up our nursery. There are no trade secrets to our operation and we feel that in helping you we will become sharper ourselves. Our phone number is 215 651 8329. We have thousands of plants for you to see and always have hundreds ready for you to pickup. From 2' to 15' we have inventory balled and burlapped. Don't worry about driving long distances to get to us. We are easy to get to near Phila., on a major road, Rt. 313 in Fountainville Pa.. We want to move our stock and will make sure that you go home a happy camper. If you are coming from a long distance, we will give away free inventory that is surplus to our needs. One of our fields is being converted into ball and soccer fields and work will begin Nov. 25 2005. Stock in this field will go cheap. We will stay open til the last dog dies or we sell out. I think we have more stock than what we possibly can sell. Our range of potted Leylands from 2' to 6' in height. Many different colors and sizes.